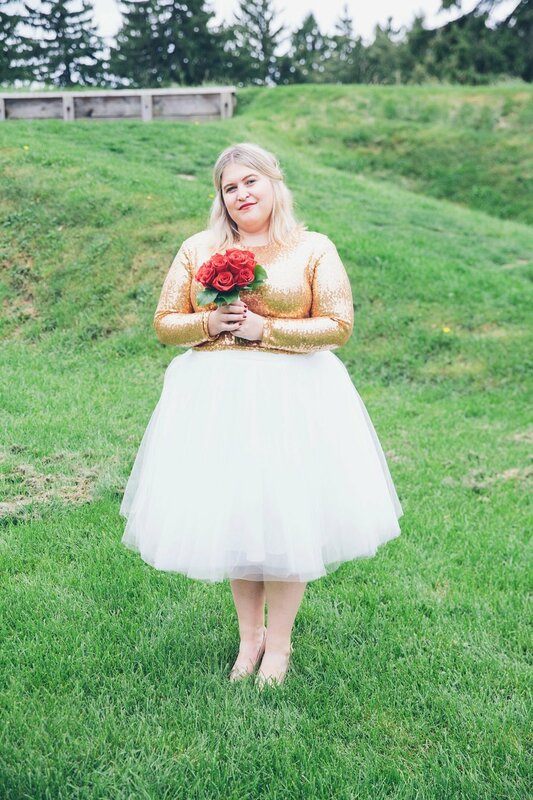 Becky's Jillian Joy Hand Crafted two-piece is made of a shimmering, gold sequin top, and full tulle skirt. The top features 3/4 length sleeves and is fully lined with a stretch lining to add comfort. 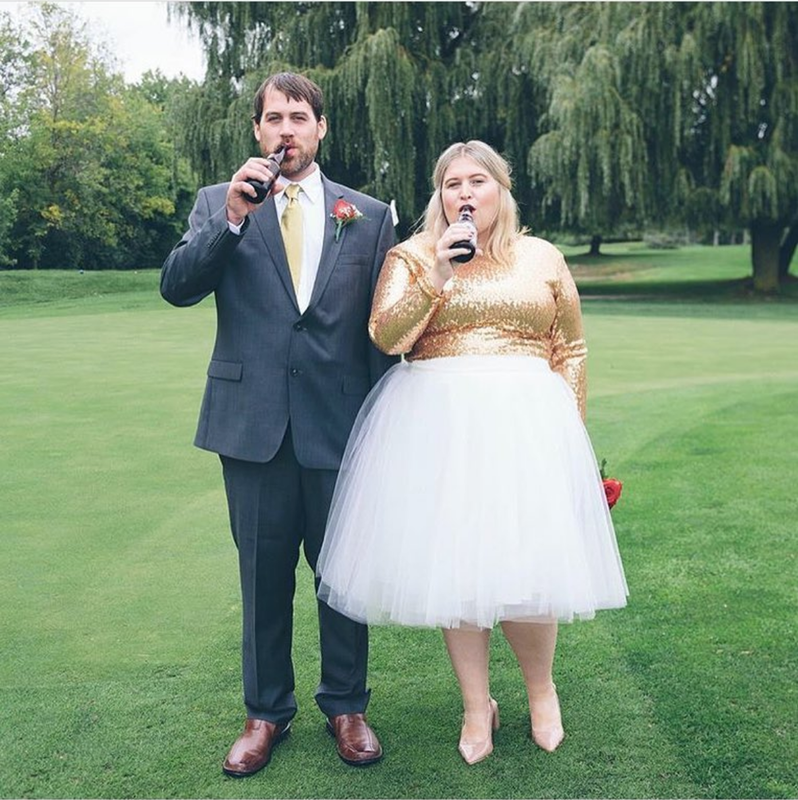 The skirt features more than 6 layers of bridal tulle at a mid-calf length.